Looking for job opportunities in research organisations and universities EDUCATION •	PhD in Biological & Agricultural Engineering at North Carolina State University, USA (January 2008-August 2012) Dissertation title- Modeling the Groundwater Hydrology and Nitrate-Nitrogen Dynamics of Two Riparian Buffers in Eastern North Carolina using the Riparian Ecosystem Management Model (REMM) (Completed August 2012). 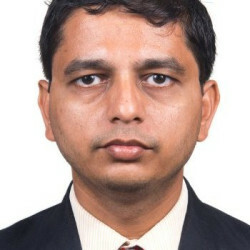 Advisor: Dr. Michael R. Burchell II •	Master of Science in Civil & Environmental Engineering at University of Mississippi, USA (August 2004-August 2006) Thesis title- Synthesizing, Characterizing and Producing Manganese Oxide (MnOx) Coatings onto Ottawa and Aquifer Sand for Adsorption of Trace Metals (Lead, Cadmium, Chromium and Zinc) (Completed August 2006). Advisor: Dr. Clint W. Williford •	Bachelor degree in Civil Engineering from University of Mumbai, India (July 1998-July 2003) (Completed July 2003).